CHARCOAL WAGON RESTORATION - VOLUNTEERS NEEDED NOW! The State Park staff and the Friends Group are partnering to restore an original charcoal wagon that was used in the park. The wheels were sent to specialist in Lancaster County to be restored and materials are being procured to build a new wagon bed. Contact Paul Fagely at the park office (814-667-1800) for more information. 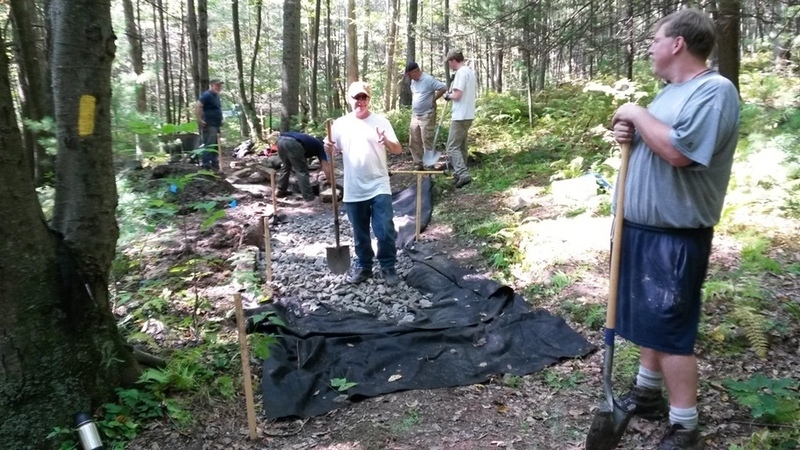 WHIPPLE LAKE TRAIL RESTORATION - VOLUNTEERS NEEDED NOW! 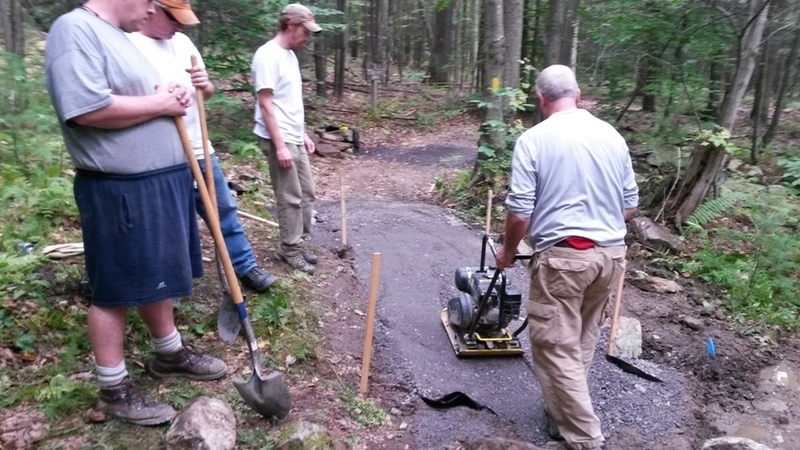 The State Park and The Friends Group are planning to repair sections of the Whipple Lake Trail, and a network of trails in the Brush Ridge Trail System. Contact the Park or the Friends Group for more information or volunteer opportunities. The Friends Group, Park Staff, and a professional trail designer paired together for a weekend to learn trail building techniques. 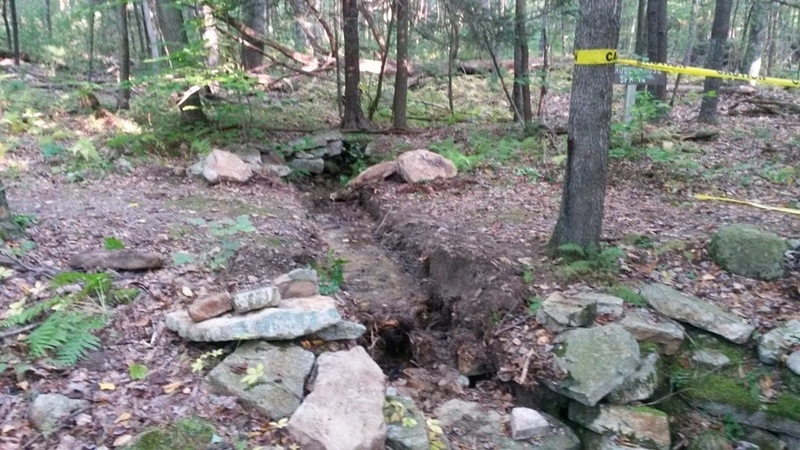 A short section of the Chestnut Spring Trail was identified for repair, a plan made, and the work completed. 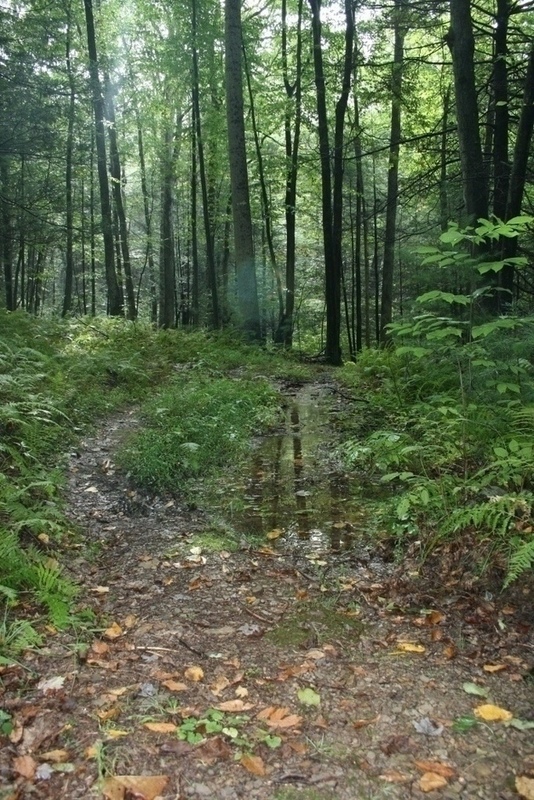 A section of the trail has a small stream crossing the trail. Through heavy use, the trail became eroded and the stream started to run down the trail causing users to create a side-trail to avoid the water hazzard. A nearby spring had a sheet of plywood for the culvert. The plywood was removed. 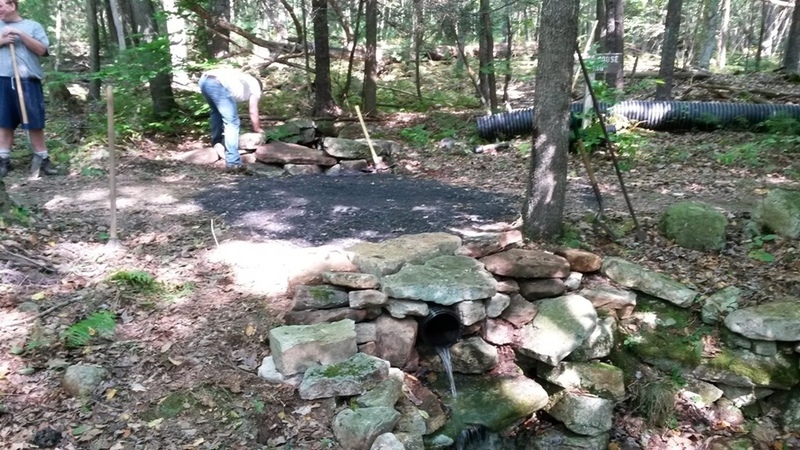 A new pipe and stone headwall is installed to stabilize the spring and culvert.